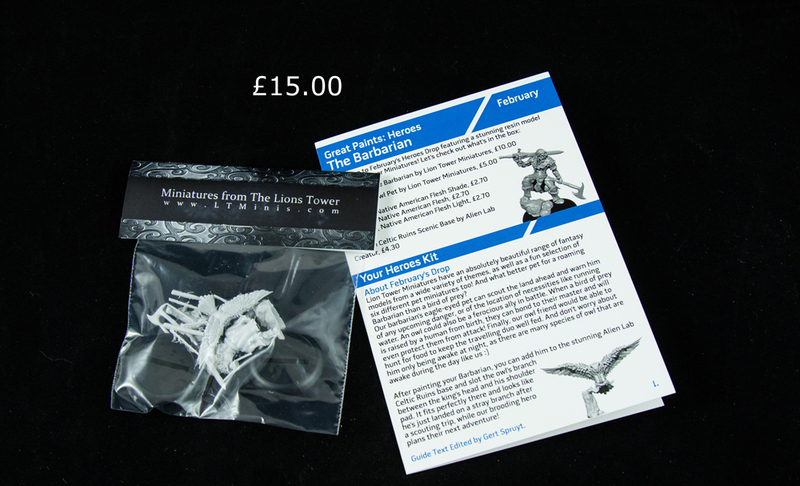 For February's Heroes Box we have focused on the incredible Lion Tower Miniatures, featuring the intrepid Barbarian miniatures from their Wrathborn universe, accompanied by his loyal Owl pet that can always be found nearby as his travels over vast lands. 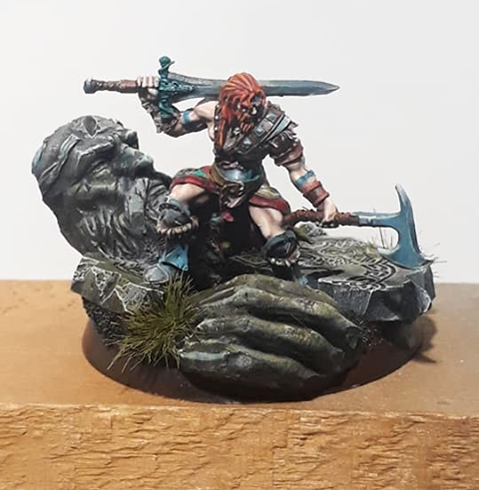 To display our Barbarian we picked the breathtaking Celtic Ruins base from Alien Lab Creator, which is the ideal platform for this stoic and deadly warrior. 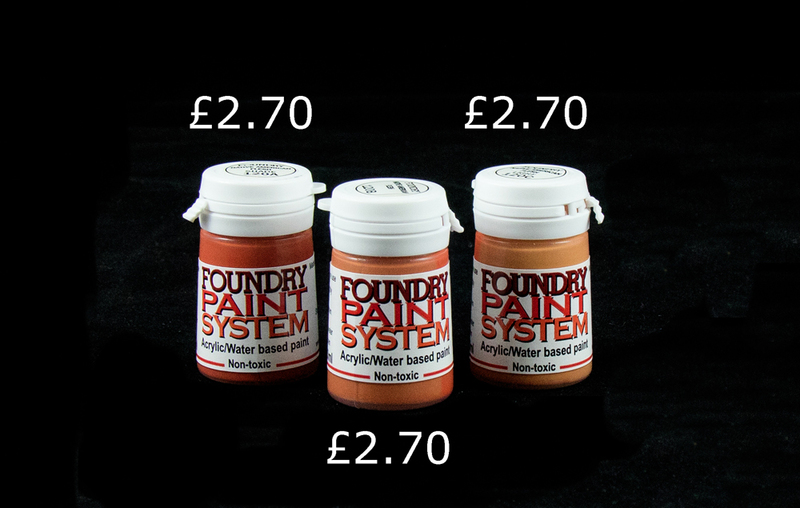 Finally, we included a trio of paints from The Foundry Paint System. This is a base, shade and highlight trio and we picked the South American Flesh trio to give our Barbarian a sun-kissed skin colour to celebrate his wandering nature. If you like the sound of February's Heroes Drop, and would like to receive your own creative painting project each month, subscribe to the Heroes Drop here. 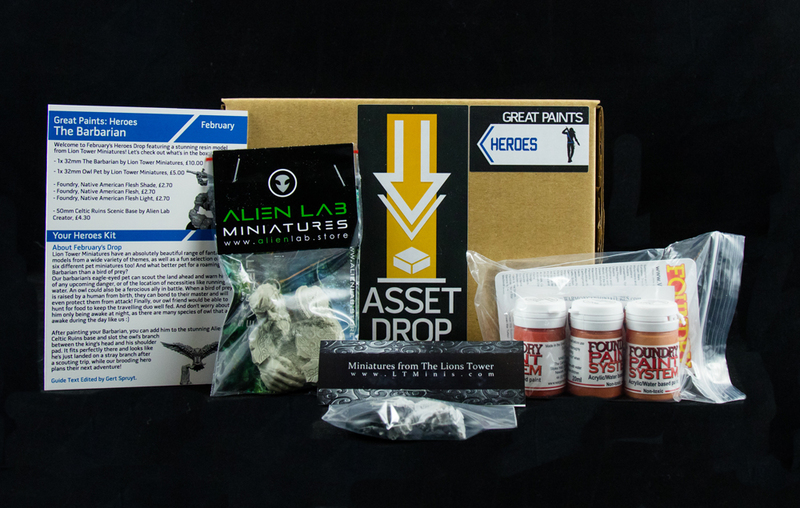 Inside every Heroes Box, we always include a detailed painting tutorial designed around the mini that month. For February's tutorial we covered how to paint dark tanned flesh using the Foundry trio. 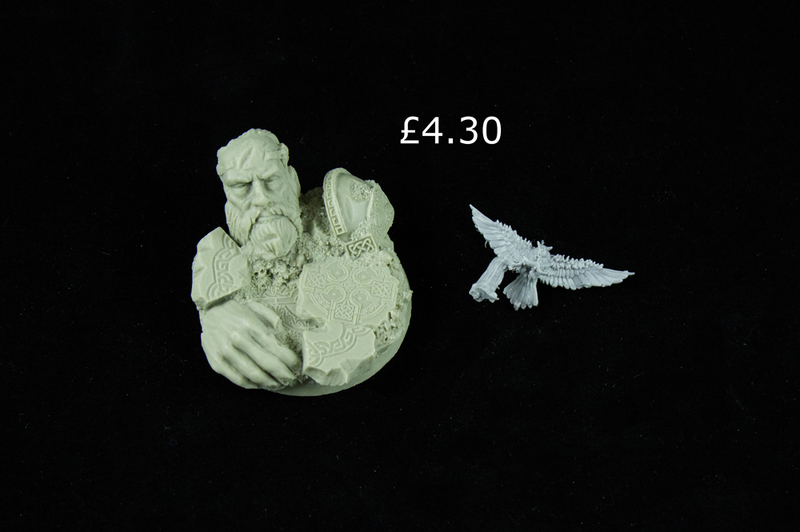 The Barbarian Miniature by Lion Tower Miniatures, £10.00 with his Owl Pet, £5.00, in the same packaging. 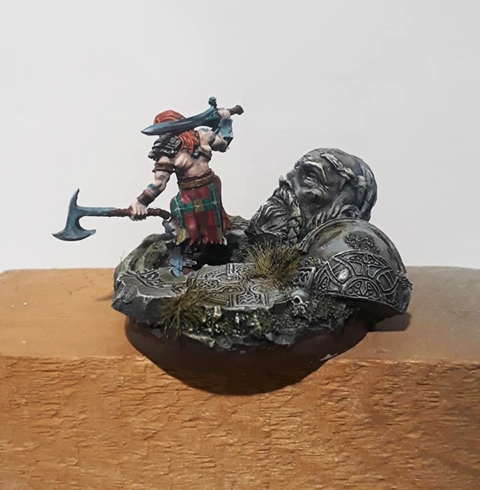 Below you can see the Barbarian miniature painted up incredibly in a Scottish clan style by one of our subscribers! Alien Lab Creator produces some incredible scenic bases and as soon as we saw the Celtic Ruins base, we knew it would be perfect for our Barbarian miniature. 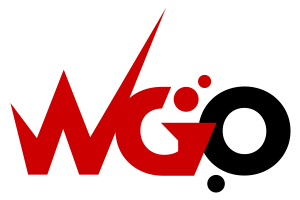 It is the ideal setting for a warrior to be wandering through in a fantasy land ravaged by war, leaving ruins of past kings all over the land. You can also see the highly details Owl miniatures from Lion Tower perched on a branch that wedges perfectly between the old stone head and shoulder armour to create a seamless diorama! Finally, you can see the trio of tanned flesh paints from Foundry, which work really well together to create a skin effect fit for Conan! The darker base is the shadow, and is applied first, followed by the mid tone and a highlight colour for that extra bit of pop on our Barbarian's muscles.